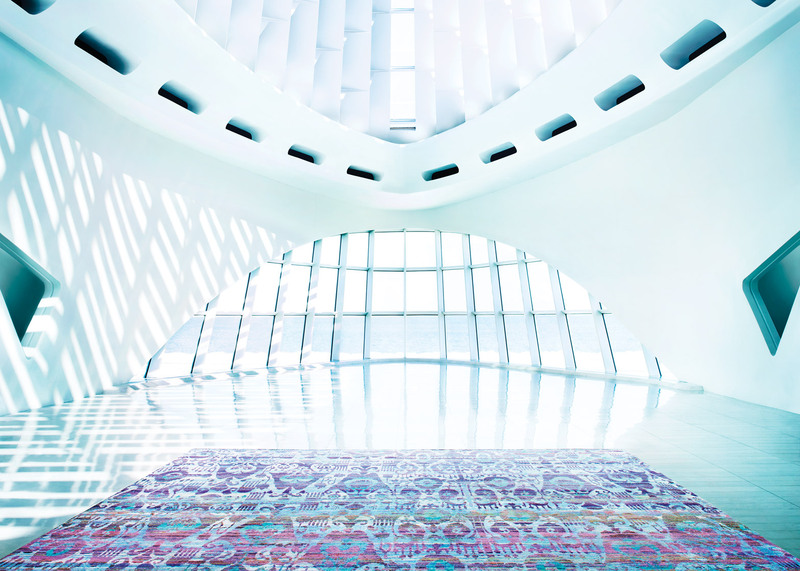 Dezeen promotion: American home design retailer ABC Carpet & Home has shot the campaign for its new range of silk rugs inside Spanish architect Santiago Calatrava's Quadracci Pavilion at the Milwaukee Art Museum. 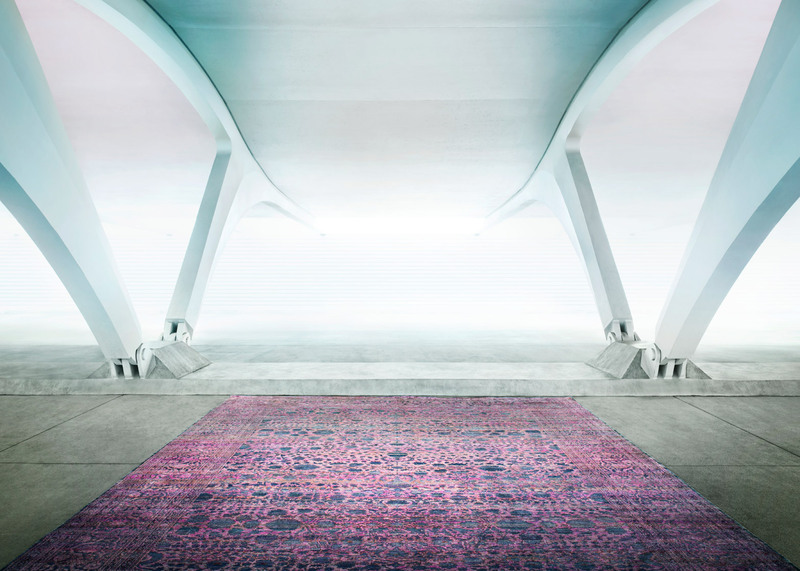 The new Aura and Samoke rugs are the focus of the company's latest campaign, Inspire The Future, which aims to illustrate the future of handcrafted design. 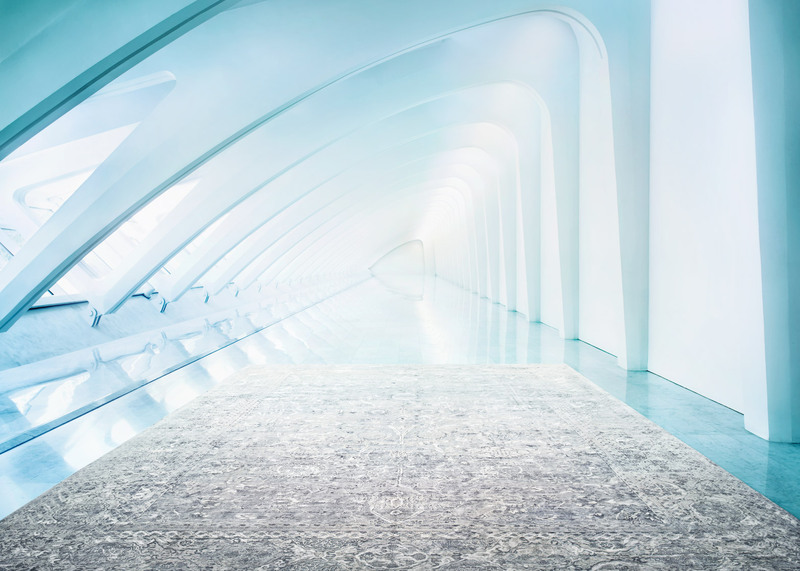 "Our goal is to create a demand for slow design, reinventing the disposable consumption mindset that has been stimulated by accelerated production cycles and rapidly evolving technology," said ABC Carpet & Home's Angela Gruszka. "We seek to inspire consumers to make conscious purchase decisions that support local and global artisans and communities, while investing in one-of-a-kind works of art that will last a lifetime." The campaign was captured by interior and portrait photographer Jason Madara. It was shot in three different locations within Calatrava's Quadracci Pavilion, including its parking garage, at the Milwaukee Art Museum. Each rug in the Aura collection is hand-knotted from recycled sari silk by artisans in India, using centuries-old techniques. For the campaign images, the rugs were strategically selected and positioned to complement the surrounding architecture. "It's important to make the rugs feel like they live and belong in the space. They need to complement the area and the area needs to complement them," said Madara. "I look to art for inspiration and work to create pictures as paintings, capturing the subject in its most realistic form." 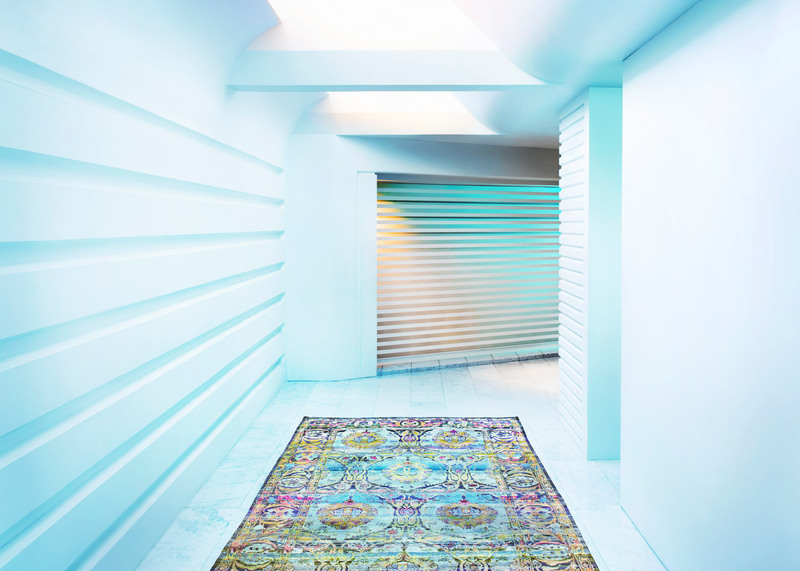 "This campaign is an evolved campaign for ABC Carpet & Home, brighter rather than moody and ominous – it's dynamic and captures the soul of the rugs," he added. The Samoke collection is inspired by Samode palaces of in the Indian city of Jaipur, and features traditional motifs which have been reinvented as abstract compositions. Each rug in the Aura collection is characterised by rainbow-like striations inspired by the ancient Indian art of colour meditation. Calatrava's Quadracci Pavilion was completed in 2001 as an addition to the original building by Finnish architect Eero Saarinen. The pavilion's sculptural fan-like roof was constructed by pouring concrete into wooden forms. The Spanish architect's more recent projects include a trio of bridges in the Chinese city of Huashan and a Greek Orthodox church at the World Trade Center site.